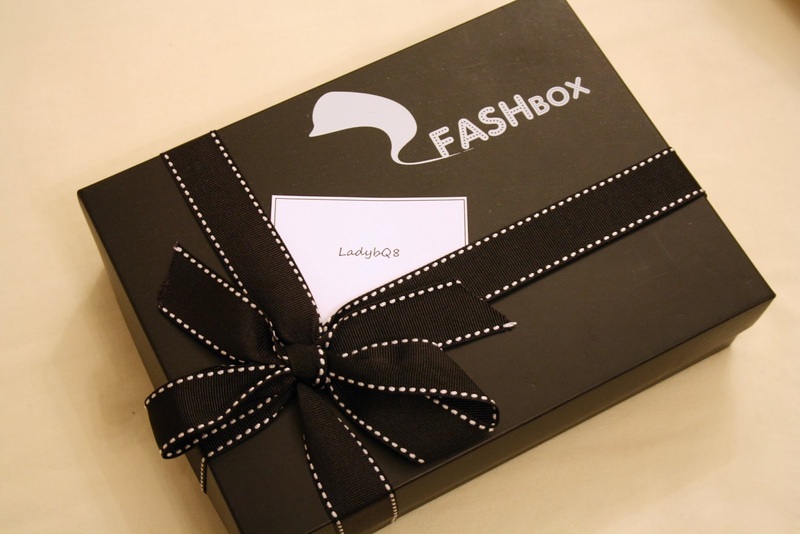 FashBox Concept is all about experiencing new, classic products & brands. 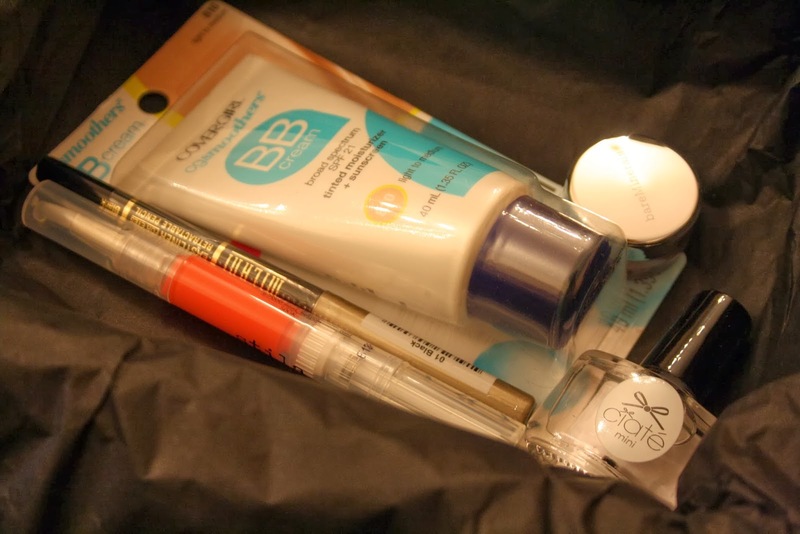 Offering either a travel or a deluxe size products before making up your mind to purchase the actual regular size of the product. The packaging was simple and elegant, reminds me a bit of net-a-porter, I can't exclaim how happy I was that such concept finally existed in Kuwait ! The inspiration after this selection of products is natural & raw and all about prepping and priming the skin to give a natural glow..
- Bare Minerals Shimmer Eyecolour in Strawberry Mousse : Which is a light golden pink shade, perfect for blending with neutral eyeshadows to give a kick or perhaps covering the entire lid a with a slick winged eyeliner to give it a character, I consider those kinds of shadows perfect to be used as a high- lighter for cheekbones as well..
- Ciate' Mini Base Coat : Idea size to pop into your cosmetics bag or take along while travelling. - Milani Eyeliner in Black : no sharpner needed since it's retractable, its black and strong perfect for linning the inner lid in your eyes smudge free. 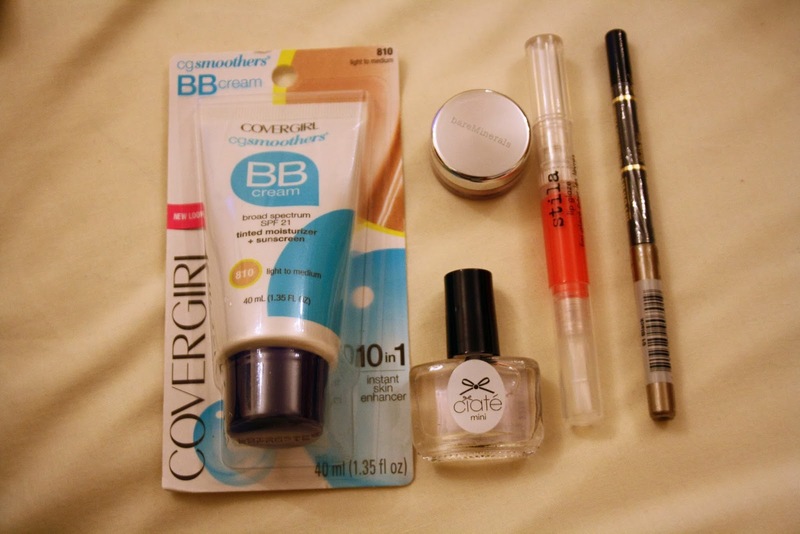 I will try to use it on the upper lid to see if its any good for that or not. The only remark I would have in regards with this box, that I wish the products came ﻿with an explanatory sheet to know more about the products..